Floating down Cypress Creek, I gazed into a blue sky and followed the flight of an enormous heron. Along the creek bank, light danced on the trunks of cypress trees, and I dragged a hand through the cool currents, thankful for such a relaxing July morning. But it's almost impossible not to be relaxed here: Winding along the west side of Florence, Cypress Creek offers mild currents and plenty of flat water, making it popular with beginner paddlers, anglers, and folks who just want to float the day away with a cooler of adult beverages. Though the creek does run past housing tracts, farms, and a park, it also snakes through wild corridors with forested banks and high bluffs. Along the way, you’ll see a wide variety birds, turtles, and other wild creatures. Whether you’re seeking solitude or floating with a group of fun-loving friends, Cypress Creek is an excellent destination for a half-day trip. Here's how to do it right. If you need an eye-opener, grab an espresso drink and a muffin at Rivertown Coffee Co., near the University of North Alabama. A great place to start your morning, Rivertown has a laid-back vibe and rustic interior, where you sit in old wooden chairs amid walls covered with artwork created by locals. It’s best to put in where Alabama Highway 133 crosses Cypress Creek. 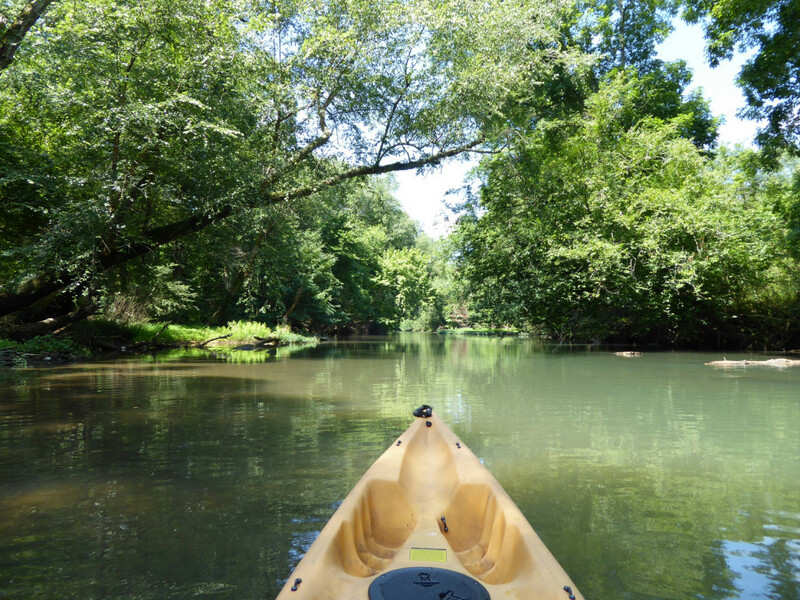 From there, you can paddle four miles and take out at Wildwood Park. Or, you can continue downstream another three miles to Savannah Highway Bridge, where Alabama Highway 20 crosses the creek. At the put-in at Cox Creek Parkway, you can’t miss the enormous signs warning you about the dam that sits 5,000 feet downstream. But, don’t fret: While the low-head dam used to be a hazard for boaters, it’s been altered and is no longer dangerous. At the dam, you’ll simply go through an opening in a stone and concrete barrier, where there’s a modest riffle and low drop. Beyond the dam, the stream runs relatively shallow as it courses through a corridor of thick forest. Occasionally, the stream narrows to produce a swift flume, where you can have fun sliding through the easy riffles. In many spots, large stands of weeds stretch across Cypress Creek, and you’ll snake through small channels that cut through the foliage. During a mid-summer trip, Alabama was experiencing a drought, and water levels were low on many streams. If you paddle Cypress Creek in these conditions, be prepared for your boat to drag in many shallow spots. Occasionally, I had to actually get out of my boat to pull it across rocky shoals. Once you pass Wildwood Park, Cypress Creek gradually becomes deeper, and the water depth isn’t an issue. In some pockets, Cypress Creek feels removed from civilization, but in several places the creek passes through residential areas. Beside the creek bank, you’ll see broad, manicured lawns that stretch uphill to meet large, modern houses. One particularly scenic spot is a red barn atop a sloping pasture that drops to the creek bank, where horses were grazing. Occasionally, you may be able to hear the rumble of a vehicle on a nearby road, and near the 4-mile mark you'll pass the crowded parking and picnic areas for Wildwood Park. Because there are so many developed areas along the Creek, it’s important to be mindful of your surroundings and avoid private property when you stop to take a break or eat lunch. 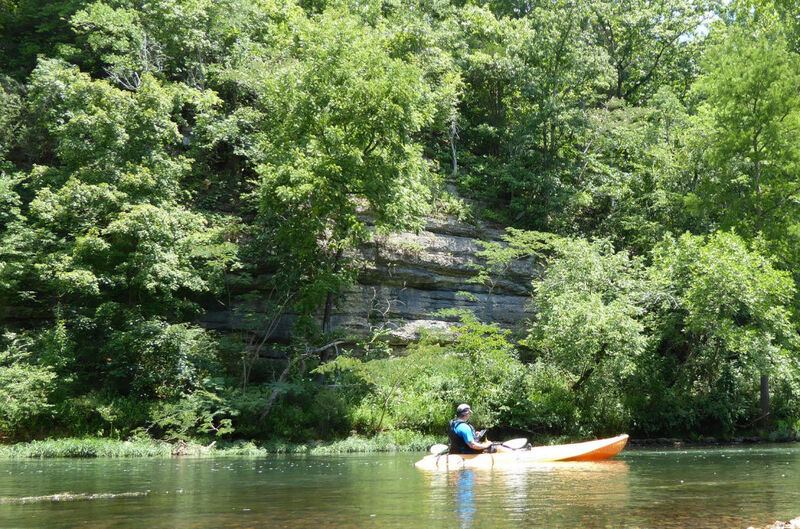 As you paddle, you’ll find several remote, undeveloped spots along the bank where you can stop. But, you’ll probably struggle to find a remote and wild place large enough for camping, so this creek is best suited for day trips. Despite the surrounding civilization, Cypress Creek still feels plenty wild. 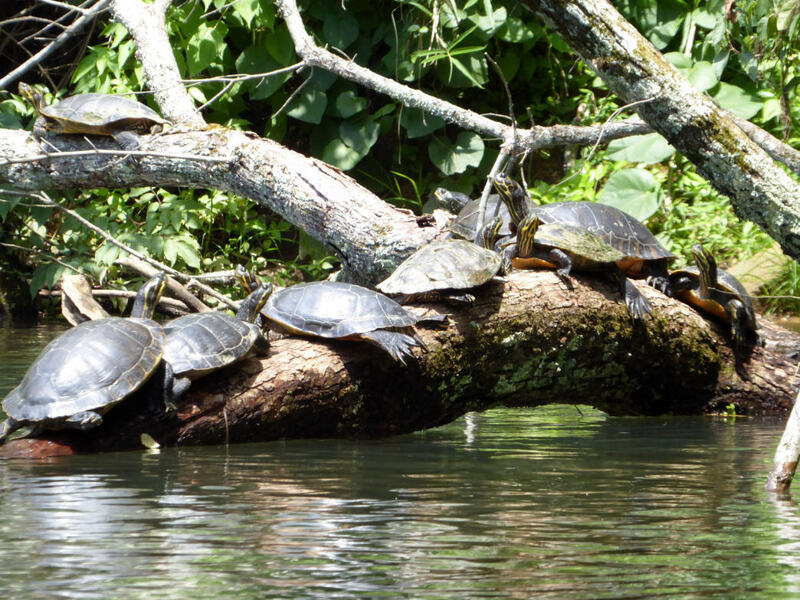 As soon as you put in, you’ll see turtles sunning themselves on logs and rocks lining the bank. As you approach them, the larger turtles dive into water with a big splash. Beneath the surface, the creek is teeming with a wide variety of fish, including smallmouth bass, largemouth bass, bluegill, and catfish. In recent years, this has become a popular spot for kayak fishing, too. During the day, you may also encounter flocks of Canadian geese and great blue herons. At times, the herons lingered at the edge of the water, and I struggled to discern their gray bodies, which were camouflaged against rocks and wood. As I approached them, they would get spooked and fly to the tops of trees or soar down the river. While Cypress Creek hosts an impressive collection of wildlife, it also surrounds you with attractive and rugged terrain. One of the most interesting spots lies just beyond Wildwood Park, where a long, rocky bluff forms a great wall on the left side of the creek. During the final two miles of your journey, savor how the environment seems a bit more primitive. As the creek deepens, it grows still and turns a deeper shade of green, while towering cypress trees rise from the water. At the base, their trunks look like fingers and knuckles reaching into the stream. Toward the end of the paddle, civilization will eventually creep in again, as houses and great lawns line the bank and traffic rumbles across Highway 20. Stay right as you approach the bridge and exit where a concrete pad sits at the edge of the water. After a warm day on the water, cool off with a Codachrome at the aptly named Singin’ River Brewing . Made with ginger and lemongrass, Codachrome is a light and crisp ale the refreshes perfectly after hours in the sun. For something stouter, try their other best seller, the Swamper, a coffee-flavored black ale. Compared to many taprooms, Singin’ River is a cozy, homey spot, with a small bar and lounge area that has comfy couches and chairs—the ideal spot for reliving your Cypress Creek paddle and planning your next one. Plan to park cars at the put-in and take out. There is no Uber or Lyft service available in Florence, and local cab companies can be unreliable. Launch in the morning to avoid crowds. The popular put-in at Highway 133 gets crowded by mid-day, especially on weekends. Take plenty of sunscreen and water. There are long stretches where the creek is very exposed to sun and there’s little shade. 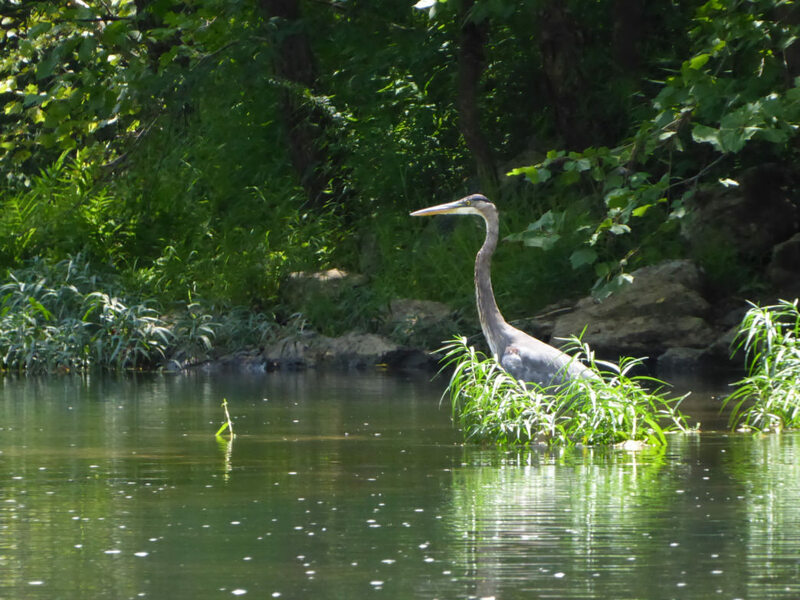 While alcohol isn't forbidden on the creek, be sure to watch your intake, especially on hot days, and make sure to bring out all trash with you. To rent kayaks, check out Beardo Outdoors.